Mexico’s most bustling region is also one of its most historically significant. From the remnants of ancient cities that once stood in place of modern-day Mexico City, to the ruins at Veracruz, Tlaxcala and Oaxaca, this area is a veritable treasure trove for would-be archaeologists and elite explorers. It’s also home to some of the nation’s finest hotels, combining signature Mexican hospitality with ultra-luxe accommodations. Today the Archaeological Zone in Teotihuacan is one of the most frequently visited tourist destinations in Mexico—but in pre-Hispanic Mexico, it was one of the largest and most complex urban centers in the New World. The site’s main structures include the Pyramid of the Sun and the Temple of Quetzalcoatl, while an on-site museum provides guests with a sense of the lost city’s rich, centuries-long history. 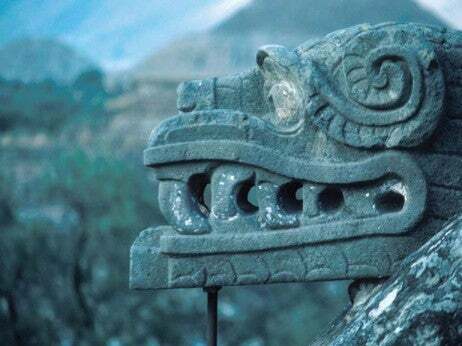 The remarkable Feathered Serpent Pyramid, with ornate details like carved serpents and colorful reliefs, is another popular stop. Another standout settlement is Tenochtitlan, the one-time Aztec capital now recognized as Mexico City. Before it was the nation’s capital, not to mention the third largest metropolitan area in the world, Mexico City was home to the earliest beginnings of advanced civilization. Strolling through the Zocalo, which has been considered the heart of the city since Aztec rule, you’ll be amazed by the contrast between the ancient mystique of its frescoes and the thriving modern city that surrounds them. In the time of Moctezuma I, this space was filled with temples and palaces, but today it’s one of the liveliest and largest public squares in the world, second only to Moscow’s Red Square. Conveniently located in downtown Mexico City, Templo Mayor is home to the remains of the cornerstone of Aztec civilization, the Grand Temple, which was built in honor of the gods. This small site also boasts an eye-opening museum filled with objects found during the excavation and restoration of Tenochtitlan. Located in the Tlalpan district, Cuicuilco is among the oldest pre-Hispanic urban areas in Mexico. 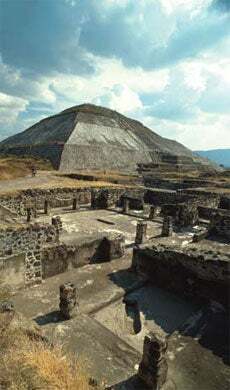 Along with well-preserved ruins of the remarkable city infrastructure, such as residences and a water works system, you’ll find a fascinating five-level round terraced pyramid—widely interpreted as an early Aztec attempt to build a relationship between religion and the cosmos. In the area just outside of Veracruz there are a few striking archaeological zones that are well worth a visit. The pre-Hispanic city of El Tajin draws its name from the belief that 12 gods of thunderstorms, collectively known as “Tajin,” live among its ruins. Its unique architecture is marked by elaborately carved reliefs on the columns and friezes. Here you’ll marvel at the Pyramid of the Niches, a masterpiece of ancient Mexican construction that proves the country’s unique architecture easily rivals that of Egypt. Other notable sites include the ruins of Quiahuiztlan, which offer up an incredible panoramic ocean view. There are several important settlements dating back to the pre-Hispanic era in the area immediately surrounding Tlaxcala. Visit Cacaxtla, considered by many to be the state’s most important archaeological site, for beautiful and colorful murals that offer a glimpse into the lives of the Olmeca-Xicalanca people who once inhabited it. Nearby Xochitecatl is home to the captivating Pyramid de las Flores (Pyramid of the Flowers), which boasts the fourth-largest base among Mesoamerican structures. Following a climb to the top of the structure, an inspiring view of the tree-lined valley below awaits. Nestled in the beautiful Oaxaca valley, just outside the capital, is the dramatic Monte Albán site. This gargantuan ceremonial complex of terraces, temples and pyramids gives tourists a fascinating glimpse into pre-Columbian culture in Mexico, constructed by a civilization that was highly skilled in building. As the Zapotec capital, it was built on an expansive site that once dominated the landscape. Touring the now-crumbling lost city, with its golden stone peaks set against a brilliant blue sky, it’s hard to imagine what this site would have looked like back in 800 A.D. when it supported a population of an estimated 30,000 people. Although it’s one of Mexico’s most excavated archaeological sites, it still maintains much of its original mystery. An on-site museum and bookstore provide a wealth of knowledge.